A few weeks ago the Australian newspaper had an interesting article about Matthew Silk and Tracy Poskitt who are the owners of Fish and Chips at 149 www.fishandchipsat149.co.uk which has been voted as Britain’s Number 1 Fish and Chip shop. For a country that takes their Fish and Chips very seriously this is a fantastic effort. The two met when they were competing to get the same business to run their fish and chip shop in 2008. They sell half a tonne of potatoes each day, which they chip themselves, no pre frozen chips for them! They prefer Maris Piper, being the correct blend of starch and moisture. They sell 5000 pieces of fish a week, which is 90% haddock. They bone, skin and portion their own fish. Using local fish in Bridlington means that it will be haddock. They do think about sustainability, using only line caught fish and they even have a little chalkboard with the name of the boat that caught the fish. They use dripping, rendered from Beef fat, and a batter with a secret recipe that is cooled to 6 degrees. For the fish cakes, they use a stronger batter and the fryer is at a lower temperature. The gravy and curry sauce are made from powder but the mushy peas are made onsite. The end result is a fish and chip shop that can have a queue of 40 minutes of a on a Saturday. What makes Fish and Chips at 149 so different? There are a couple of things that stand out about why they have such a successful business. Firstly there is the huge attention to detail in the way that they prepare the food. They sound like really good Fish and Chip cooks. I think too many Fish and Chippies pay lip service to the cooking, with frozen chips, pre battered fish and oil that is used for too long. When people are walking along on a Saturday and see such a huge line up for Fish and Chips, it obviously creates an impression and people start to think about what they are missing out on. This helps them with their marketing, because it is a clear point of differentiation and helps them win awards like the National Fish and Chop Awards, which again helps with their marketing. 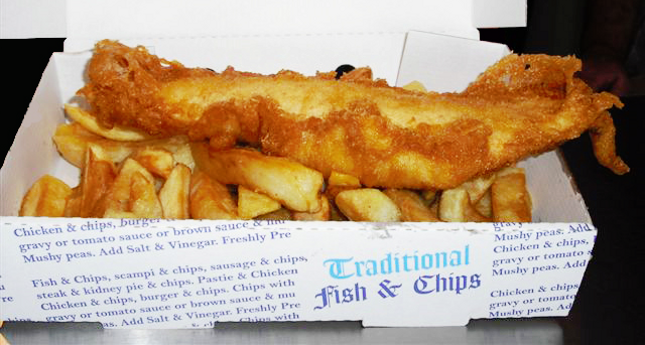 Who wouldn’t want to eat at THE best Fish and Chip shop in Britain? Secondly, they have thought about their target market. Having a look at their menu, they have a “Golden Years” menu item, which is aimed at pensioners, either a small piece of Haddock or a small Haddock and chips. Understanding the demographics in your area is a vital part in making sure you have the right product for your customers. Now how do I know about their menu? They have a website! They are one of the very few Take Away shops to have a website. They use their website to tell people about their successes. The website also talks about the business in general, so that people know they prepare all of their fish onsite, their peas are prepared overnight and the potatoes are chipped daily, so already people are expecting a premium product. They also have a link on their website homepage to their Facebook site. So congratulations to Matthew and Tracey, it is a fantastic effort and I am glad to see a team that takes their Fish and Chips so seriously. For everyone else, have a think about how much a customer is worth to you and have a think about a website. Take Away customers often spend more per year than restaurant customers and yet Take Aways usually spend less on marketing, and very few Take Aways have a website! Websites are one of the easiest ways to market your business. You can update the menu on the website instantaneously, without cost, which decreases the cost of marketing as you don’t need to reprint your Take Away fliers, people will find it on your website. 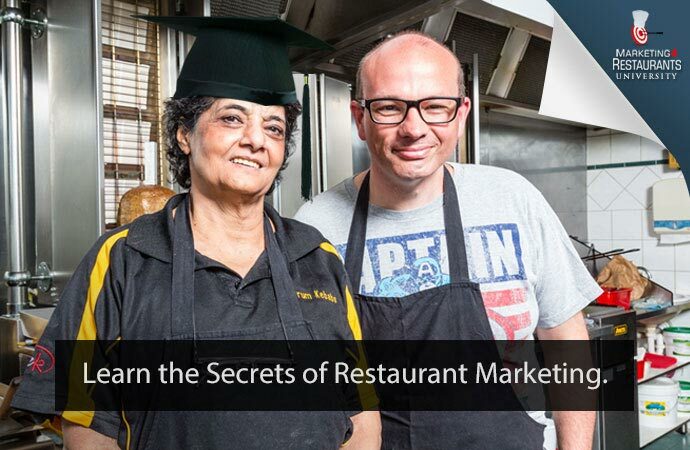 For more information on how Marketing 4 Restaurants can help your take away, sign up for our FREE report or email James at morecustomers@marketing4restaurants.com.